The citizens of Pyongyang are suffering from a severe lack of power, Japan’s Asahi Shimbun reported on Tuesday. 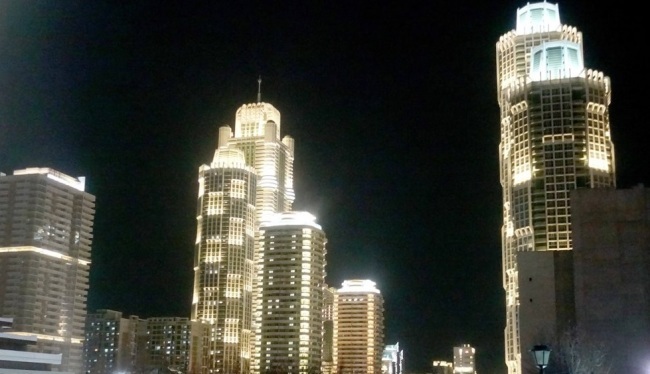 Wealthy residential areas and places widely promoted by the government such as Pyongyang’s Ryomyong Avenue and Future Scientist Street are well-lit, but the eastern part of the city where most ordinary people live in is in complete darkness after sunset, the newspaper said. This was because the North increased the cost of electricity to a level that the poor cannot afford, the Asahi Shimbun said, adding that the gap between the rich and the poor has widened due to Pyongyang’s partial adoption of the market economy. While international sanctions have deepened the North’s shortage of foreign exchange, the government’s exploitation of the people was getting worse, the newspaper said, citing sources familiar with the situation in Pyongyang. Asahi also said drugs were widely spread among North Koreans. “Seventy percent of the people living in provincial areas are contaminated with drugs,” a North Korean defector was quoted as saying by the newspaper. The Asahi also said that a series of purges including the dismissal of Kim Won-hong as the minister of state security early this year has heightened a sense of insecurity among the top brass in Pyongyang. Senior North Korean officials were often punished for disrespect for the supreme leader, accumulation of wealth through illegal means, or jealousy among themselves, and cases of officials snitching on each other about their disrespectful attitude were frequent, according to the newspaper.